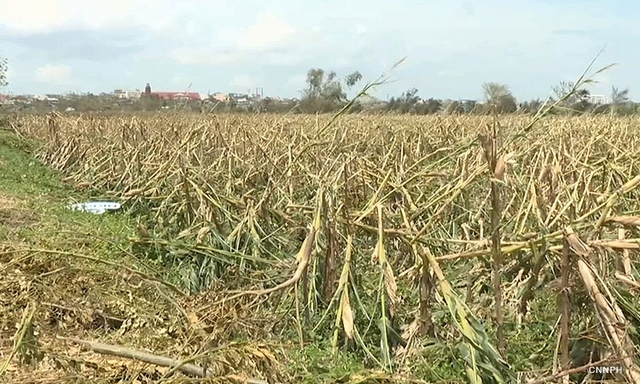 MANILA -- Estimated agricultural damage due to Typhoon Ompong (Mangkhut') has reached PHP26.77 billion nationwide, the National Disaster Risk Reduction and Management Commission (NDRRMC) reported on Thursday. The damaged areas were in Regions 1, 2, 3, 4-A, 5, 6, and the Cordillera Administrative Region (CAR), the agency stated. "Ompong" affected about 171,932 farmers in CAR alone, it added. Meanwhile, Agriculture Secretary Emmanuel Piñol has identified desiltation, the process of removing silt from water bodies, as a priority activity for rehabilitating the affected areas. He said desiltation will protect food production in Luzon from further floods caused by overflowing rivers. "Desilting Luzon's major rivers must be among the rehabilitation's priorities," he said in a meeting with Luzon governors in Metro Manila this week. Flooding from the overflow of silted rivers was one of several concerns the governors raised before Piñol during their meeting. Piñol cited the need to desilt the country's longest waterway, the Cagayan River in northern Luzon.